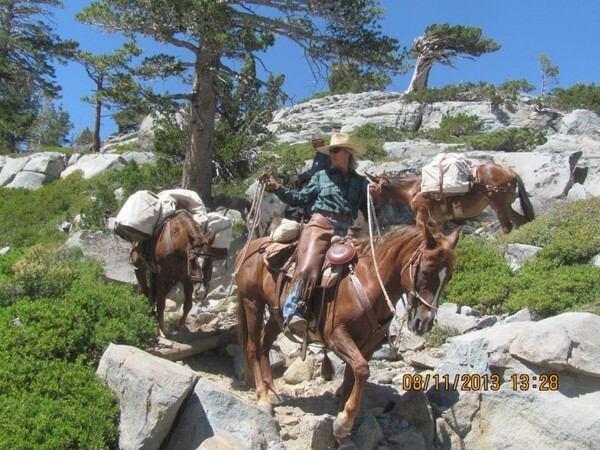 Two projects were selected for the 2012 Double Diamond award, Show Me Missouri Back Country Horsemen and the San Gorgonio Pass Unit of BCH of CA submitted the award-winning projects. Both projects demonstrate how BCHA brings together public agencies and private interests to work for a common goal and access for all backcountry users. BCHA would like to give a special thanks to Mary K. Church, Sherry Copeland and to Show Me Missouri Back Country Horsemen. Spearheaded by Russell Martin and the Leo A. Drey Foundation, this SMMBCH project exemplified a first-of-its-kind approach in the Midwest to open a lengthy equine-accessible trail. The project linked multiple trail units the new trail parallels the Ozark Trail on Roger Pryor land where equine access is not allowed. The Ozark trail is a contiguous, 350-mile trail that travels through properties managed by several public land agencies. Equine access either has been or is currently restricted on land managed by the Missouri Department of Conservation. The project was started 2 ½ years ago and opened a new 17 ½-mile trail through public and private lands. The project opened a new trail for equine use and made it possible for contiguous equine usage through an area beginning at the northern boundary of the Roger Pryor back country, running South/southwest through the area. The trail connects the Mark Twain National Forest, Roger Pryor Back Country and the Missouri Department of Conservation lands. Partners in the projected included the Sierra Club, Ozark Trail Association, The MO Department of Agriculture, and the MO Department of Tourism. Two RTP grants were awarded to this project from the National Forest Service and the MO Department of Conservation. volunteers logged over 180 hours to date, with an estimated 600 hours required over the next five years. To learn more about this project, see the article in the Fall 2012 issue of the BCHA news Missouri’s Long Distance Packing/Riding Opportunity One Step Closer by Russell Martin. An epic event known as The Devil’s Windstorm occurred in Oct. 2012 when the high altitude jet stream came down to earth in the Mammoth Mountain and Mono Lake Ranger Districts of the Inyo National Forest. Winds out of the north were 100-120 mph and lasting 5-6 hours with gusts estimated 160-180 mph. The worst storm damage centered on Mammoth Ranger District in Teds Meadow Valley where over 400,000 trees were toppled. BCHC volunteers contributed over 4500 hours. 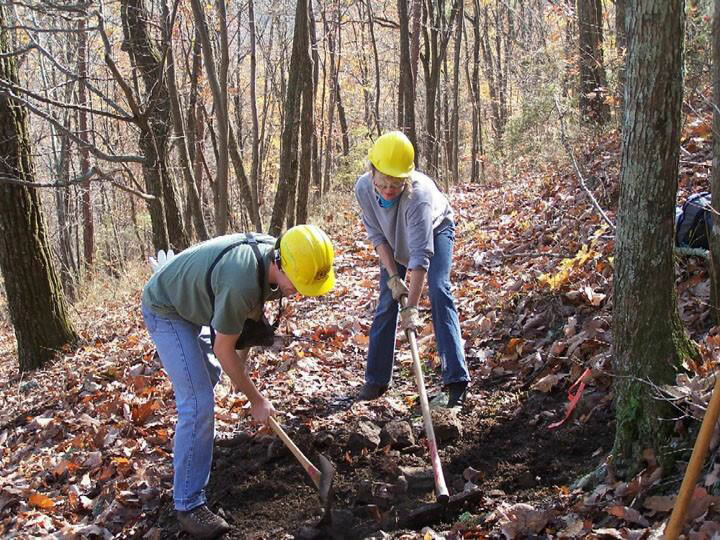 Volunteers cut over 370 trees on 30 miles of trails. Earlier in the year BCHC sawyers cleared 160 trees on a 2.1-mile section of the Pacific Crest Trail. This massive toppling set the stage for many BCHC units’ coming together, including San Gorgonio unit, Eastern Sierra unit, Mid Valley unit, Kern Sierra unit, and the Kern River Valley unit. BCH units worked along with the Friends of the Inyo on clearing the damaged and downed trees from this epic wind event. A total of 27 volunteers spent nine days clearing trails, rebuilding root ball torn up tread, and restoring a devastated trail system. At the end of the summer packing season the totals were sent to all volunteer and support groups who had assisted in clearing the damage. A total of 4400 trees were cleared on over 340 miles of trails.